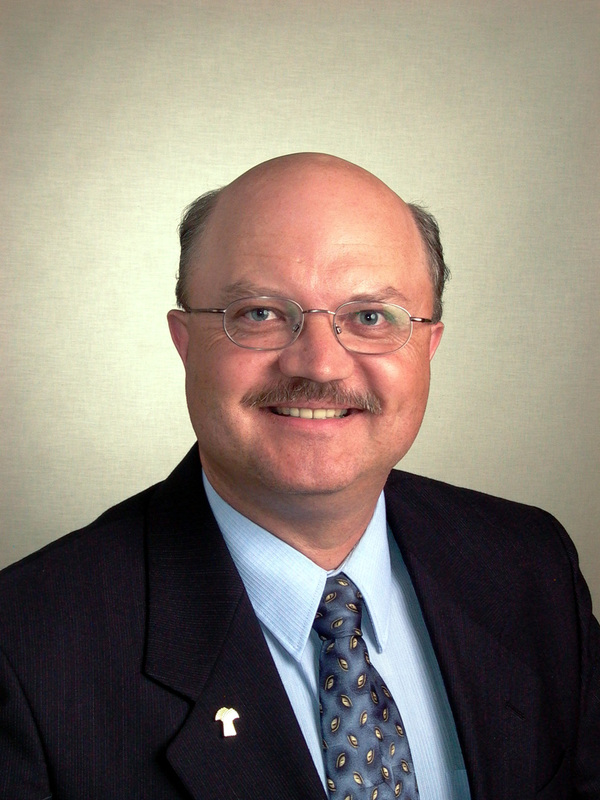 Saskatchewan's Food Safety 1st Instructor Russell Scott, is a Public Health Inspector certified to teach and has taught food safety training courses since 1986. He's kind of smart, a little bit funny and he knows where to eat! Russell combines his 33 years of experience as a food inspector with his humorous science-based format to teach food safety. Russell also spent four years working as an "Investigator", specializing in detecting the cause of foodborne illness (food poisoning) outbreaks. Thanks to Russell's hard work and dedication, all Food Safety 1st participants have fun and find themselves very successful in implementing what they have learned...Making their food safe to eat. This Food Safety PHI (Public Health Inspector) is credited with starting food safety classes in high schools and was instrumental in providing food safety training in Chinese and Greek. Affectionately called "Mr. Food Safe" or "The Food Inspector", he's a bit of a celebrity, teaching FoodSafe Level 1 & 2 LIVE! - "ON AIR" via satellite, on the Saskatchewan Telecommunication Network (SCN) at the University of Saskatchewan for SIAST Kelsey Campus. Russell taught FoodSafe Level 1 & 2 on the SCN three times, as updates and revisions occurred. Russell believes in keeping all his students current with the latest course material and technology. Russell has traveled across Saskatchewan, presenting Food Safe Courses in Aberdeen, Ahtahkakoop, Battleford, Big Island Lake, Buffalo Narrows, Cando, Carnduff, Clavet, Dakota Dunes Casino, Dalmeny, Delisle, Dundurn 17 Wing Detachment, Hague, Humboldt, Ile-a-la-Crosse, Key First Nations, Lashburn, Maidstone, Melfort, Moose Jaw, Nielburg, North Battleford, One Arrow First Nation, Outlook, Oxbow, Prince Albert, Punnichy, Quill Lake, Rabbit Lake, Radisson, Regina, Rosetown, Rosthern, Saint Isidore-de-Bellevue, Saskatoon, Spiritwood, Strasbourg, Swift Current, Vanscoy, Wadena, Waldheim, Wollaston Lake, Wynyard, Wynyard and Yorkton; truly making him Saskatchewan's Food Safety 1st Inspector. Where ever the course, Russell makes it fun to learn, bringing two rubber chickens named "Sam & Ella" to talk about "Salmonella" food poisoning and proper food handling procedures. 2018: The Canadian Institute of Public Health Inspectors presented Russell Scott the "Alex Cross Award"
This national award was presented to Russell for displaying the highest standards of professional practice with significant contribution to the advancement of CIPHI, the field of environmental health and community, promotion of the professional standards of the Canadian Institute of Public Health Inspectors and exemplary leadership in dealing with critical issues affecting environmental health and public health. 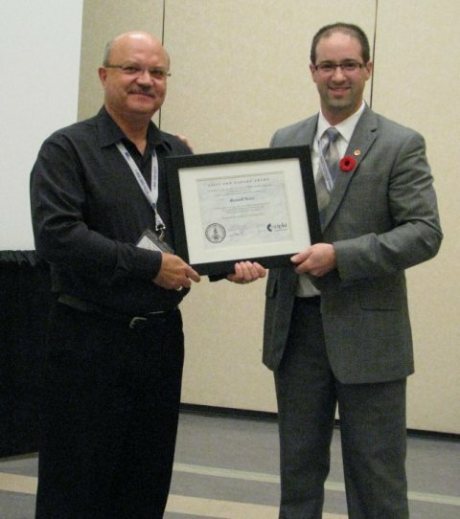 Presenting the "Alex Cross Awardâ€� to Russell Scott (left) is Kevin Kapell, (right) President of the Saskatchewan Branch of the Canadian Institute of Public Health Inspectors. 2010: The Environmental Health Foundation of Canada and the Canadian Institute of Public Health Inspectors presented Russell Scott the "Lilli Ann Zahara Award". This national award was presented to Russell in recognition of his dedication, commitment, inspiration and leadership in the field of environmental health, with particular excellent contributions to food safety and health education. Presenting the "Lilli Ann Zahara Award" to Russell Scott (left) is Ryan Philipation, (right) President of the Saskatchewan Branch of the Canadian Institute of Public Health Inspectors. When you want it... Where you want it... We come to YOU! Until then... Keep Your Food Safe!